This past month has been exciting as we have facilitated discussions to strengthen and mobilize Diaspora/solidarity philanthropy. For us, philanthropy is more than just asking our friends to donate financially. Rather, we strive to engage our friends in the Diaspora and in solidarity as they are a part of our community. Don’t get me wrong – financial donations are important! BUT we are attempting for more. We envision a wide and expansive network of supporters who may donate, but will also advocate and raise awareness about the situation on the ground, and serve with their specialized skills and abilities either from abroad or on the ground in various communities in Palestine. The Dalia Association can help match folks and their skills to local communities and their priorities. I encourage any interested individuals to contact me directly at [email protected] so we can discuss further. Ramadan is coming to an end. I wish you a blessed Eid. 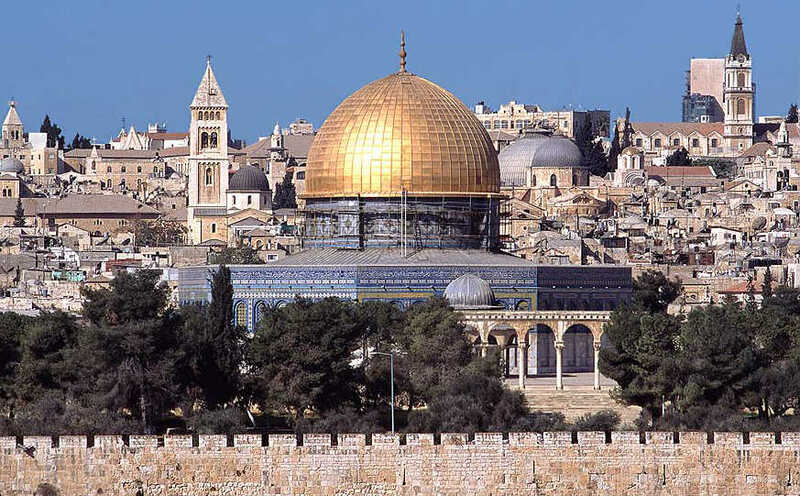 The Jerusalem Fund- We need your support! At Dalia, we believe that every individual can make a change in the Palestinian communities we live in. 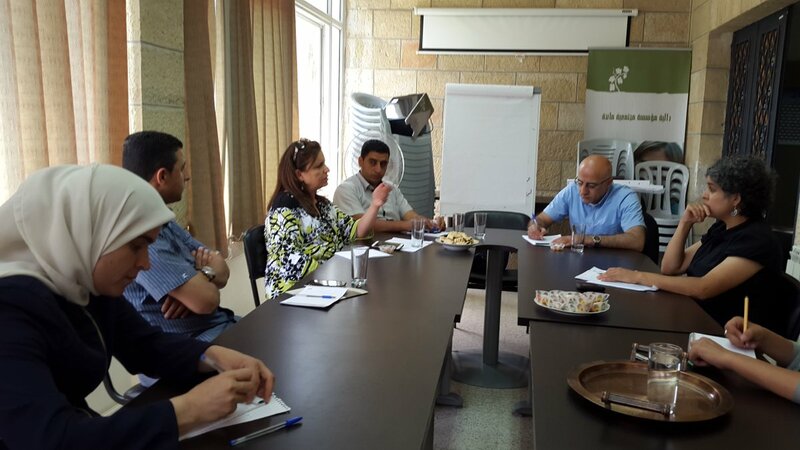 We believe in your role to build a more resilient civil society in Palestine. Therefore, we are reaching out to you in the final days of the Holy Month of Ramadan: the month of giving and compassion, to help us support the Jerusalem Fund. This Fund will support the Palestinian Jerusalem communities in setting their priorities and mobilizing financial and non-financial resources to achieve their goals. This time the fund will focus on two main priorities – supporting families who have experienced home demolitions, and empowering youth through our youth grant making program. With your help, by giving a dollar a day (or more), we can support Palestinians in Jerusalem to use resources to support their priorities. You can make a change on the ground! Please help us achieve our goal. Every dollar counts! 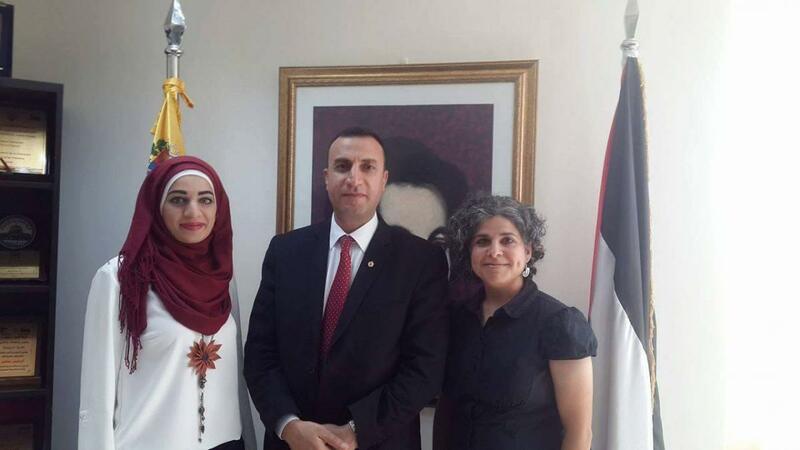 On the 5th of June, Aisha Mansour, our Executive Director, and Ahlam Samara our Office Manager from Dalia Association visited the Venezuelan Representative office, in an effort to develop a network with the Venezuelan Palestinian Diaspora, and friends in Solidarity with Palestine. They met with the Ambassador H.E Mr. Maher Taha, and the Assistant of the Representative to the Office Mr. Basel Diab. Dalia’s staff shared with them our success stories and experiences from working with our local communities. The Ambassador expressed his admiration with Dalia’s work, as he believes in the right of Palestinians to control their own resources. He also hopes to join us in the field in order to reflect our work to Venezuelan communities. Be proactive and organize meetups with your Diaspora community. Invite your Diaspora community to activities in their hometowns and villages. Engage with your Diaspora via Social Media venues. Use social engagements such as weddings and graduations as a networking opportunity. At Dalia we believe that mobilizing aid from our own people in the Diaspora is one further step towards self-reliance; and independence from conditional foreign aid. In June, we started scouting locations for our new youth program at Dalia. 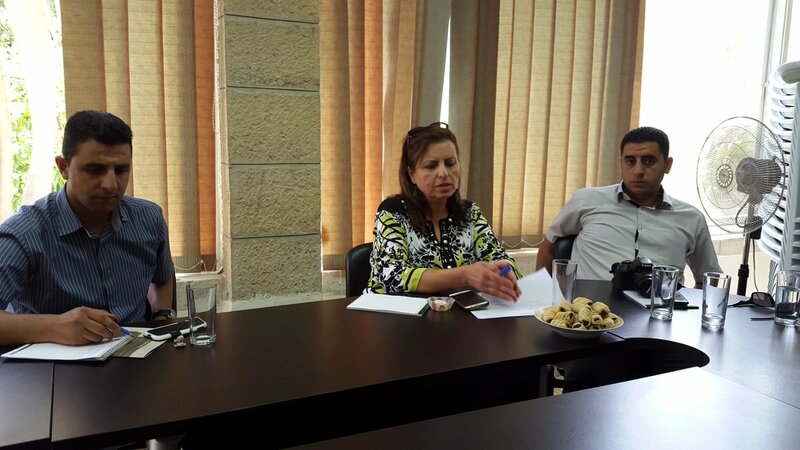 We set up meetings with active youth groups in the following districts: Ramallah, Jerusalem suburbs, and the Jordan valley. The programs/projects will be led and implemented by these youth groups, for they will decide their own priorities based on their needs. In addition, they will be encouraged to use available local resources. My name is Max, I'm a 24-year-old American-Jew volunteering in the Palestinian village of Susya. Given the nature of this conflict and how disparate identities may divide us, I am here to stand in solidarity with the village threatened repetitively by Israeli army incursions and settlement expansion. In Susya, I teach English to a mixed adult-children group. During Ramadan, everyone is fasting and I try my best to entertain the tired crew of characters. We discuss basic scenarios; shopping, getting married, and asking for directions. It's rewarding volunteer work. I also shepherd the sheep most afternoons with the local adult residents as they graze in the ravines surrounding Susya. I really appreciate the opportunity Dalia Association has granted me.